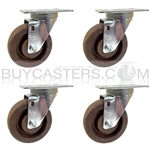 Best Seller, Pemco "PolyKat" 5" Shopping Cart Casters w/ threaded stem fit most shopping carts and are a quality replacement or OEM option. 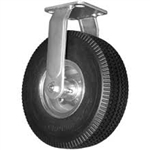 Composite Swivel Light Duty Caster 5"X 1-1/4" Gray Rubber Wheel. 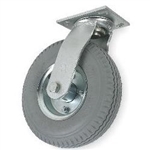 Sealed Bearings and Raceway.